When choosing an RV toilet, size, and easy-to-clean, should top your priorities list. 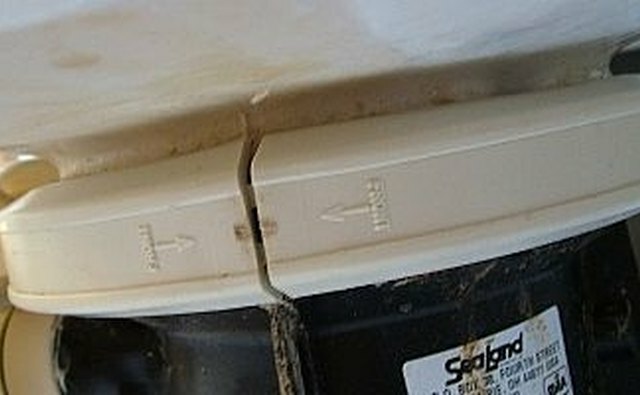 Most RV toilets are made of plastic, they scratch easily and are much too small to use comfortably. SeaLand makes, what I think is, one of the best choices for any RV or boat. They're the same size as a home toilet. They are made of china, just like the ones at home. These toilets are not uncomplicated however. Here you will find an explanation of how they work and how to repair them when they stop working. Warning, this is a messy job. The SeaLand has five basic operating mechanisms. The pedal, water valve, spring cartridge, flush ball, and vacuum breaker . 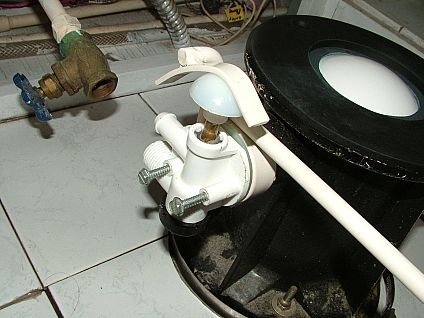 The pedal is used to operate, fill, and flush the toilet. The water valve sends water under pressure to the vacuum breaker. 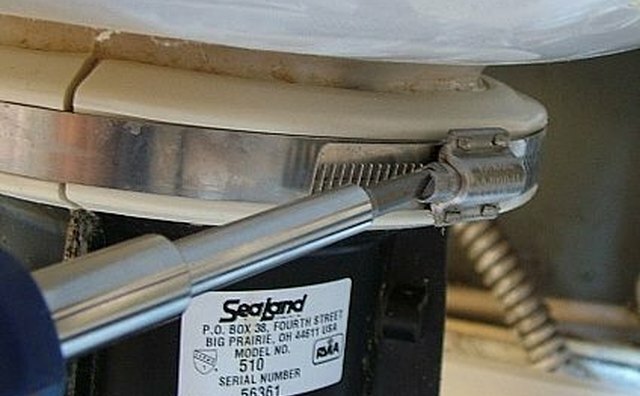 The vacuum breaker is designed to allow water to pass to the toilet rim wash holes. 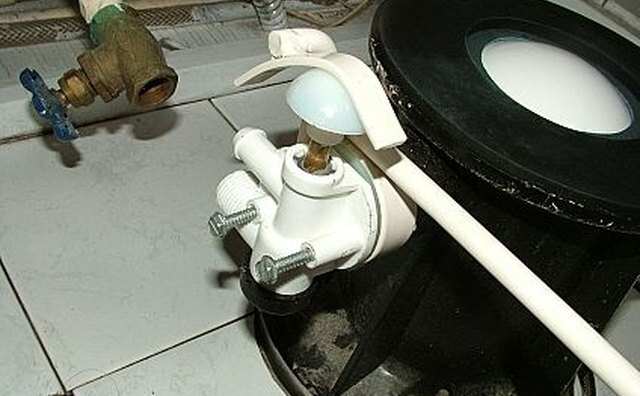 When the water pressure is off, the vacuum breaker does not allow toilet water to be sucked back into the main supply lines. The spring cartridge returns the pedal to the neutral position from either the up (fill) or down (flush) position. Do not open the cartridge, the spring will pop out and you will not be able assemble it again. The toilet flush ball is actually one-half a ball. It's made of plastic and seals the toilet from the holding tank. It has a locking screw on the underside that locks it to the brass ball shaft. The ball has a Teflon seal over it and a rubber bowl seal over that. 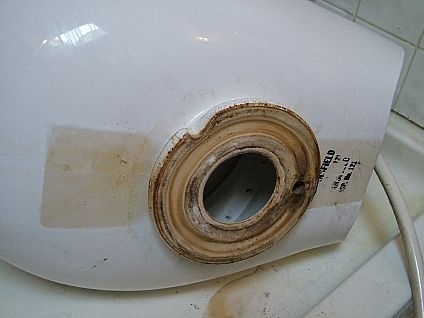 After the toilet has been in use a few years, or problems occur, it becomes time to overhaul it. Be prepared for a messy job. Start by removing the cosmetic pedestal cover. It has only one screw on the pedal side. Also remove the plastic pedal cover. Shut off the water and remove the feed line. Also remove the hose that goes to the vacuum breaker. Be ready with a large bath towel to catch the water that will drain from the pipe. Next remove the band (large hose clamp) and half-clamp that holds the china bowl to the pedestal. 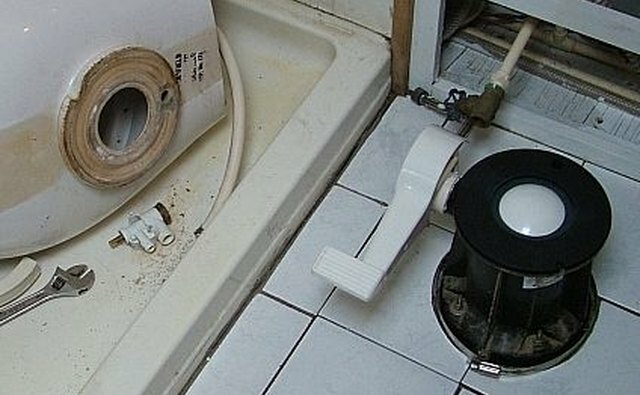 The band worm screw is behind the toilet. Remember the position of the band screw, and of the half-clamp for re-assembly. 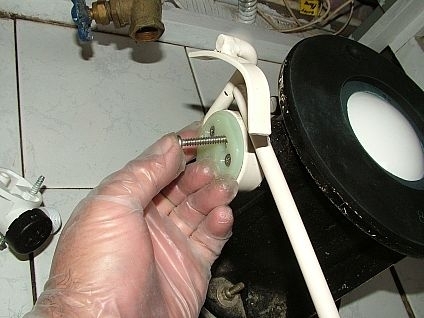 Remove the two screws that hold the water valve assembly. Remove the flush pedal. Remove the screws that hold the spring cartridge assembly. 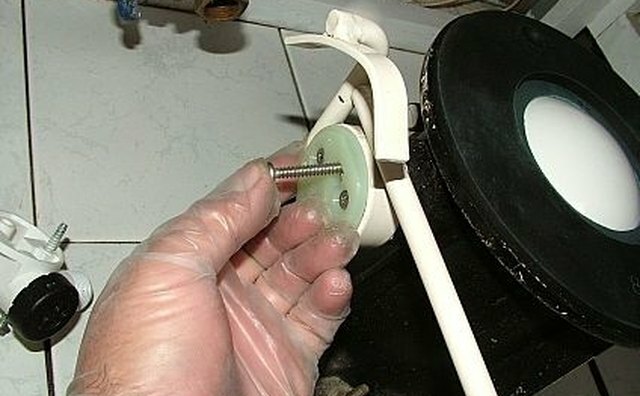 Keep the screws apart for easy re-assembly. 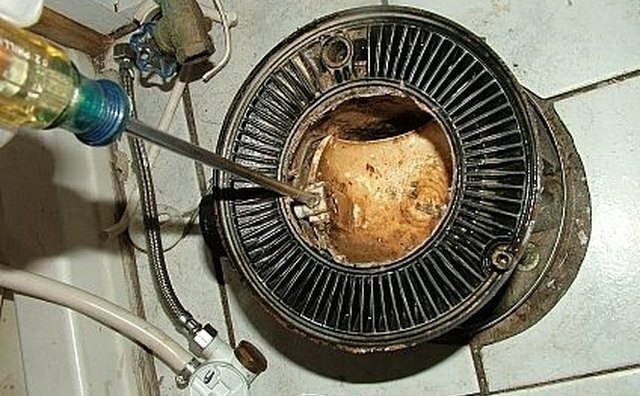 Remove the rubber bowl seal and the Teflon ball seal. Get your plastic gloves on. Spin the flush ball one-half turn and remove the screw that attaches it to the ball shaft. It's on the pedal side. Being careful not to drop them into the holding tank, separate the ball from the shaft, remove them from the pedestal. 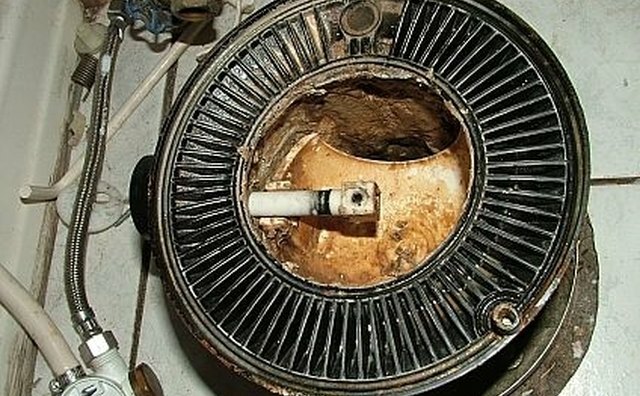 If the pedestal base has been leaking, now is the time to replace the gasket. 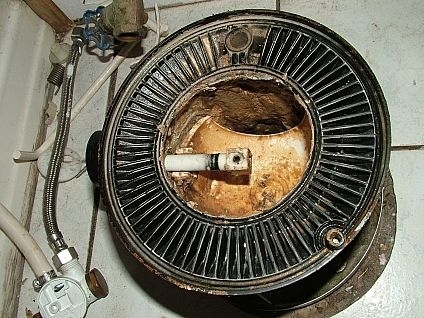 Remove the four holding nuts from the bottom of the pedestal, lift off the flange, remove and replace the old gasket. Screw the four nuts back on, to hold the pedestal in place. Clean the ball area thoroughly. There will be lots of hard water lime crystals that need to be removed. Use silicone grease to lubricate the new shaft "O" rings. Install the new ball shaft back in the hole. The new shaft will most likely be made of brass instead of plastic like the original shaft. Carefully insert the ball upside down and attach it to the new shaft with the new screw. Install a new spring cartridge, flush pedal, and water valve in the reverse order their removal. 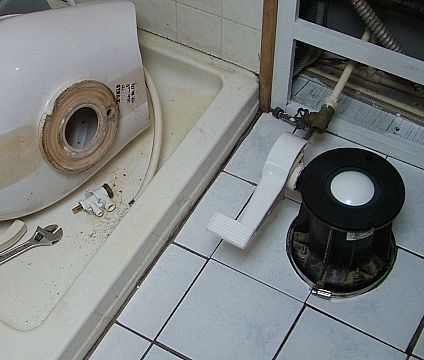 To complete the over haul replace the vacuum breaker located behind the china toilet bowl. 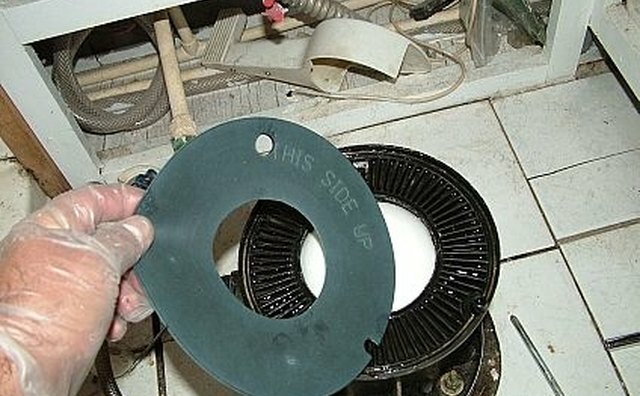 Lastly, place the Teflon gasket on the flush ball with the "This side up" letters visible. 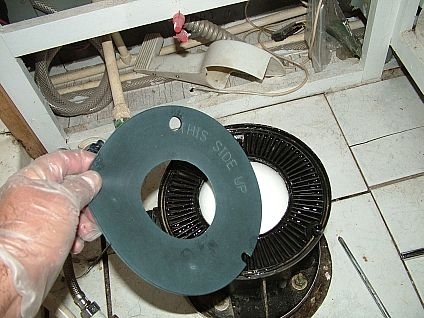 Place the rubber bowl seal on top of the Teflon gasket and place the china bowl on top of the pedestal. Put the two half-clamps in place in the same orientation that they came off. Replace the water hoses. 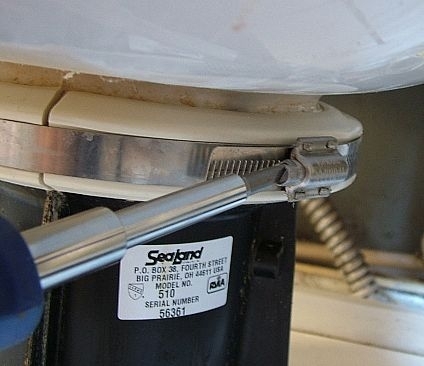 Place the holding band over the half-clamp with it's worm screw towards the rear of the toilet and tighten well. 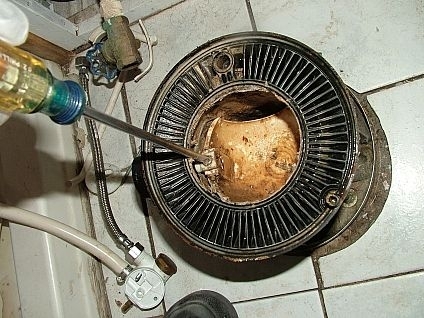 Replace the cosmetic pedestal cover, pedal and pedal cover and turn the water back on to test for leaks. By doing this repair/overhaul yourself you will save quite a bit of money, but more importantly it will empower you to take care any future breakdowns on the Sea or Land. 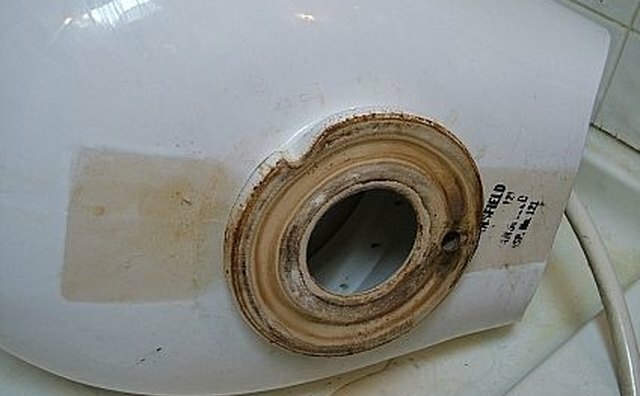 Use silicone grease on the water valve dome. How Does an RV Bathroom Work?